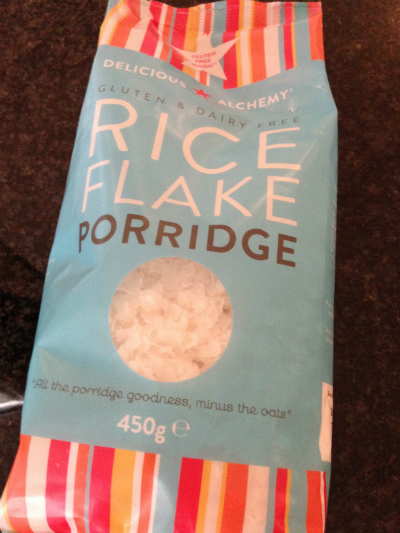 Delicious Alchemy sent me their porridge alternative to try, just rice flakes, no oats in this porridge ! Completely gluten free and dairy free. I have to say I was not sure about this idea, but on the other hand I do miss a bowl of porridge in the winter. It may just be that I’m getting old, but I struggled to read the tiny instructions on the packet. Tiny white writing on a blue background did not make it easy. 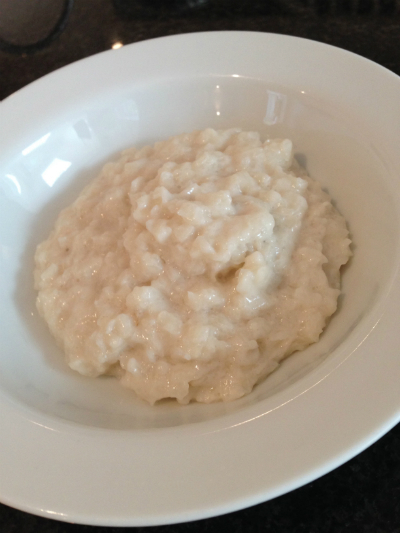 The porridge was easy to make I chose to make in a saucepan but it can easily be made in the microwave. 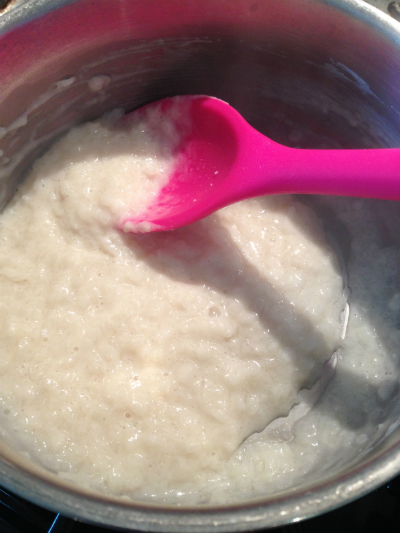 In just a few minutes it was a lovely porridge like consistency . 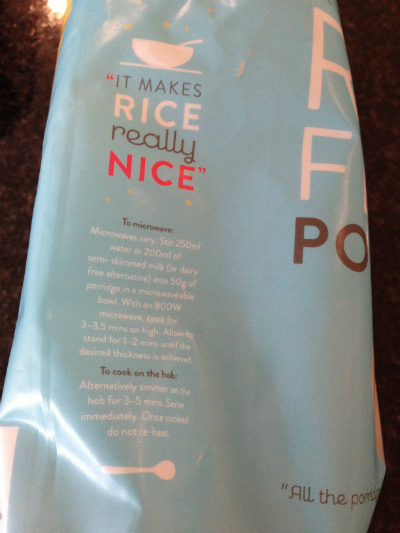 I decided to taste it plain first, now this rice porridge does not contain sugar in any form. Due to this obviously the rice porridge is not overly pleasant on its own. 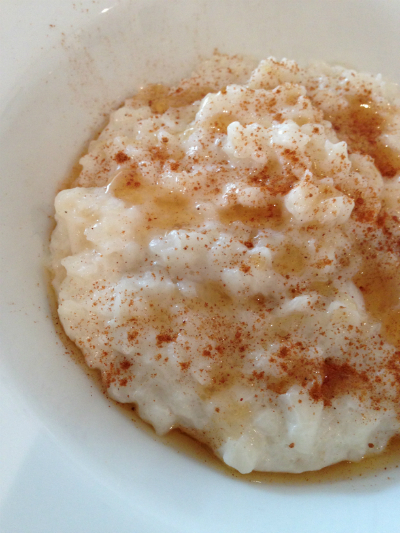 But adding plenty of cinnamon and a touch of maple syrup it transformed into a delicious breakfast. I actually added only the tiniest amount to sweeten. Honey would have worked well too. Berries would be a nice topping too. I have to say I was very surprised I really liked it and would definitely buy it, especially in the winter, I think it would be good on camping trips to, as easy to make and very substantial and filling. I made mine using un sweetened almond milk but could be made with any milk substitute or made with cows milk too. You could also have this as a quick and easy pudding.